Find out more about the teeth whitening procedure and whether it’s safe for your smile. You’ve probably seen tons of ads regarding commercial whitening products for your smile, but how much do you know about professional whitening? Yes, it may be more expensive than at-home treatments, but the results are instant and will get smiles significantly whiter. Before you decide to get in-office whitening, your Marietta, GA cosmetic dentist, Dr. James Hutson, wants you to know a bit more about whitening and your smile. Is Teeth Whitening Bad for My Smile? You may have heard stories stating that teeth whitening isn’t safe, but research has proved otherwise. In fact, when used properly by your Marietta cosmetic dentistry expert, teeth whitening is completely safe. In-office teeth whitening will not damage tooth enamel. There are concerns with at-home whitening and being able to protect soft tissue from the harsh chemicals found in whitening gels, which is why it’s always a good idea to opt for dentist-supervised whitening. And, of course, there are certain things you’ll need to consider before determining whether teeth whitening is right for you. If you have tooth sensitivity, teeth whitening can temporarily increase that sensitivity. We can work with you to determine what type of whitening gel we should use on your teeth if you have such sensitivity. It is also advised that pregnant or nursing mothers not get teeth whitening. What Should I Expect from Teeth Whitening? When you get dentist-supervised whitening, you can expect to walk out the door with an instantly brighter smile. Some patients can even get smiles that are eight times brighter than before. How much whiter your smile gets depends on the severity of your dental stains. Teeth whitening is only used for those with external stains caused by consuming certain foods and drinks, or from smoking. 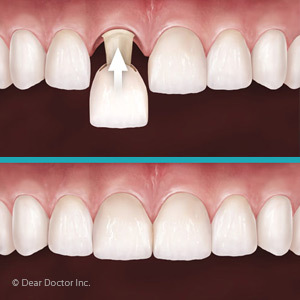 When you come in for treatment, we will place a separator over your teeth to expose them while also protecting your gums from the bleaching gel. Then we will apply a layer of the whitener over your teeth that will be activated for about 15 minutes with a dental laser. The laser helps to speed up the whitening process. Most whitening sessions consist of three, 15-minutes whitening applications. In just 45 minutes you too could have a more vibrant smile. If teeth whitening is exactly what you think your smile needs, it’s time to call your dentist in Marietta, GA today. Let Dr. James Hutson give you a vibrant new smile this year.